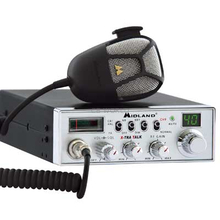 Midland CB radios offer over forty years of proven industry performance. The 5001 Classic Style CB Radio combines classic looks with state of the art 21st century performance. It may look a lot like the Bandit's CB, but with 40 channels, lots of features, and a sleek ergonomic microphone the 5001 is an all modern radio. The chrome face plate features an easy to ready LED channel display, large control knobs for positive radio adjustments, and an illuminated Signal/RF meter so you know you're reaching out with a strong signal. Midland's X-TRA TALK mic provides control boost microphone sensitivity offering better range and voice clarity over other manufacturers CB radios. The mic connector locks in tight to the radio front panel, preventing the dreaded "dead mike" talk-a-thon so often dreaded by some CBer's. A generously long 9 foot coiled mic cord reaches anywhere you need with no tangle and no fuss. Automatic noise limiting and user switchable noise blanker round out the robust feature set on the Midland 5001. On demand PA function is available with the use of an externally added public address speaker horn. You can mount your PA speaker anywhere you desire, but we strongly recommend this in mounted outside the cab or your vehicle. Under the hood is generally a good choice that provides protection for the speaker and descent volume. The 5001 classic style CB Radio from Midland. An American original. 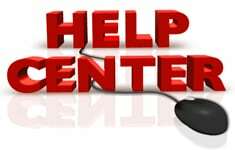 Looking for a replacement microphone? Check out the KCBMIC.